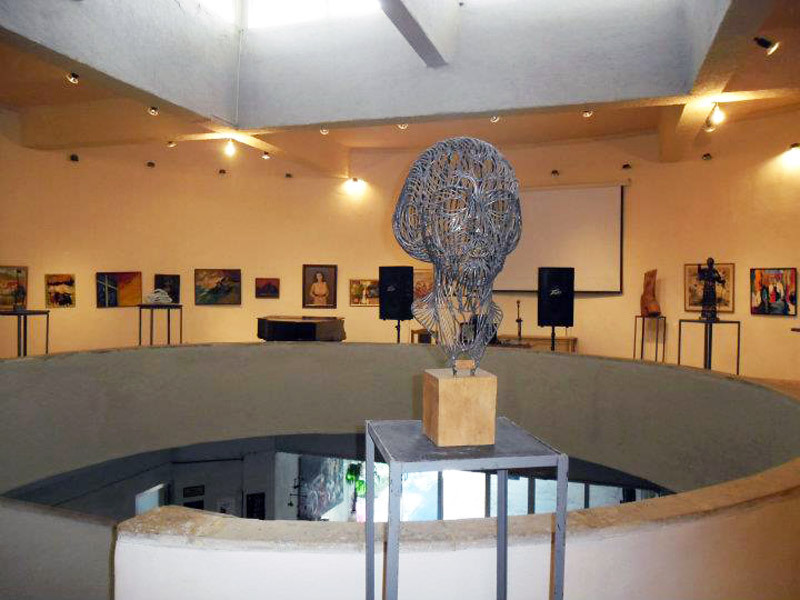 Hay Art Gallery and Cultural Center was founded in 1997 with the support of the municipality of Yerevan. The goal of having a cultural center in the city was to create a unique space for art and artists. The cultural center unites East and West, where language barriers disappear, there is no politics and everyone speaks only the language of art. International cultural exhibitions, cultural meetings and charity evenings are held regularly in the cultural center of Hay Art. Hay Art Gallery and Cultural Center is located at the crossroads of Mashtots Avenue and Khorenatsi Street. The building captures attention with non standard architecture and looks like a huge barrel roll. In the center there is a permanent exposition of contemporary Oriental and Western artists.